Read about it in the Wall Street Journal (with subscription), or here. Dr. Krakauer argues for better understanding of behavior in this article in Le Temps. Dr. Krakauer’s recent paper was discussed in an article in The Atlantic. Listen to a discussion of our recent paper, “Neuroscience Needs Behavior: Correcting a Reductionist Bias”, here (link to original paper here). See here for Dr. Krakauer’s interview at the Champalimaud Centre for the Unknown. Dr. Krakauer talks about task specificity, and how to maintain a healthy brain. Link here. 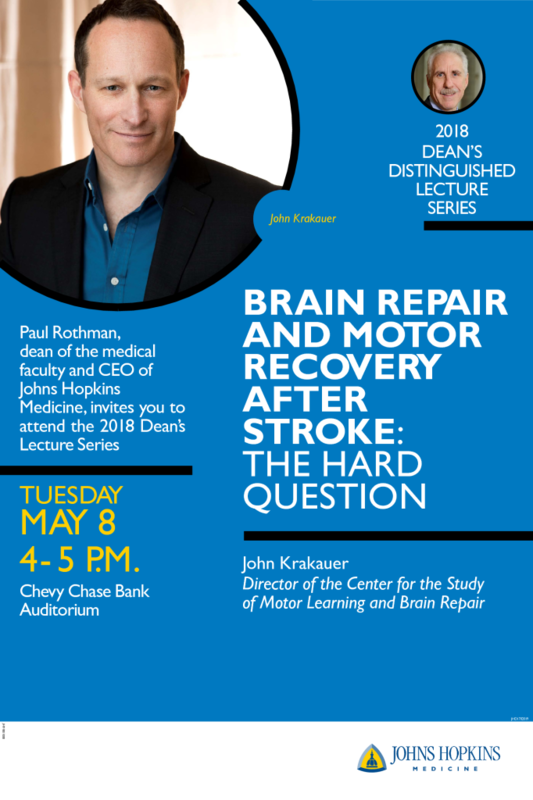 Dr. Krakauer was asked to comment on ischemic stroke in the context of U.S. Senator Mark Kirk’s health. Link here. Interview of Dr. Krakauer by the Dana Foundation. Read the interview here.